Like any college town and/or city where many residents carry a yearly fun pass, there are literally hundreds of dining options from fast food to fast casual, from family style to fine dining. The more time my daughter spends up there, the more places to eat we have discovered. You will find your burgers, pizza, Mexican, Chinese, barbecue, sushi, salads, Mediterranean; a restaurant for every palate and every price point. Depending on whether you are touring with a prospective student or visiting your student in Orlando, who will undoubtedly be clamoring for a good meal, the options are plentiful. Some things to consider beforehand are price and time. It is not unusual for there to be a considerable wait, even with a reservation, on a game weekend or graduation, at some of the more popular selections. Please note some are in Orlando and others in Oviedo, which is right there too. I even listed one or two in Winter Park, because the quaint town is just worth the drive. Black Bean Deli – If nothing else, go for the Cuban coffee. They have light bites and quick snacks all day. All authentic. Briar Patch – This belongs under breakfast and lunch and is worth the drive to Winter Park. Oh, and it also belongs under. Everything is delicious. Brooklyn Water Bagel – the closest you will come to a New York bagel with all the toppings, but it is only a 10-minute drive from campus. First Watch – This is one of my favorites. If you want delicious and a little more health conscious breakfast (brunch or lunch too), this is the place. There is also a one on Alafaya too, where Newks used to be. IHop – Because sometimes you just want a fat stack of pancakes and it is just one mile from campus. Keke’s – is clearly the best place for breakfast (and lunch), based on the fact that literally everyone I asked said go to Keke’s. It is a diner-style chain with booth seating that serves your typical American breakfasts. The lines are worth the wait for the pancakes and/or French toast. 3 Natives – From Acai bowls to amazing salads to delicious wraps; he/she is all set here. Maple Street Biscuit Company– A casual cafe serving melt in your mouth biscuits and sandwiches topped or smothered in gravy or syrup and southern sides. Breakfast and lunch (dinner on weekends). This being the south, you will want to naturally try their biscuits. Located in Oviedo on the Park. Metro Diner – Located on University Boulevard near UCF, Metro Diner serves breakfast, lunch and dinner but we are recommending for breakfast/lunch. Featured on the Food Network’s Diners, Drive-Ins and Dives, hosted by Guy Fieri. Nick’s Family Dinner – is another brunch place on Orange Blossom Trail 30 minutes from campus, and they’re vegetarian friendly! Omelet Bar – Don’t let the name fool you; there is far more here than eggs. They serve incredible breakfasts, munch (as they say) and lunch. Panera – on University that is always a go-to for a fresh breakfast and coffee. Peach Valley Cafe– Located in downtown Orlando. Open for breakfast and lunch. They tend to get long lines on the weekends but serve free coffee and water for those w aiting.Traditional breakfast comfort food with a southern flare. Don’t let the peach in their name confuse you and try their apple fritters. 310 Restaurant – There are three, but the Lakeside location, next to Lake Eola, is our favorite for brunch. The new “American Cusine” is delicious. Avenue Gastrobar – Downtown. Reasonably priced. Vegetarian options. Fun menu choices. Breakfast Club of Oviedo – is the place to go if you want a good brunch and a great deal on delicious mimosas. Go early or prepare to wait. Cinco Tacos Cocina & Tequila – located in Winter Park, this is a great place for celebrations for brunch. Nona Blue – brunch (and lunch too) restaurant. 30 minutes away, but may be worth the trip. The truth is one might think Orlando is more about Disney and amusement parks, but there are plenty of great places to eat that aren’t terribly far from campus. 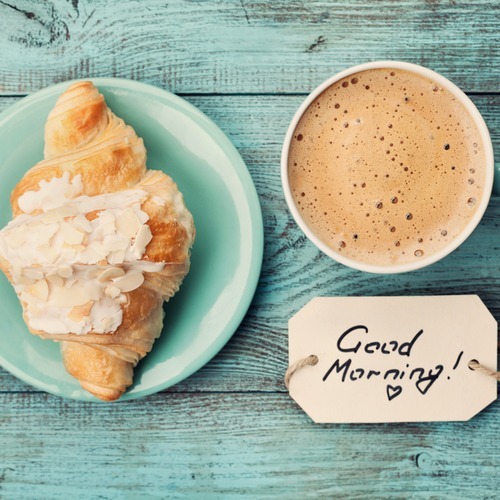 There is plenty to choose from whether you are looking for a quick breakfast before you rush off to tailgate or a long, delicious dinner so you can spend a little quality time with your hard-working student. I hope this helps you find your favorites. Swine & Sons – Located in Winter Park. Specializing in made-from-scratch ingredients and a special weekend breakfast menu. The Boheme – very upscale and really nice. It is located downtown. The Stubborn Mule – This really could be under multiple headings; brunch, lunch, dinner, drinks. Brunch is served Saturday and Sunday. Their menu is fun, American food. They are closed on Mondays. If you are scoping out places for your students to eat, since we all know they are not cooking three meals a day, they should check out these two apps: Pocket Points and UConnection. Each time students turn off their phones in class they accrue points for food discounts and deals at many restaurants around town. How smart is that!